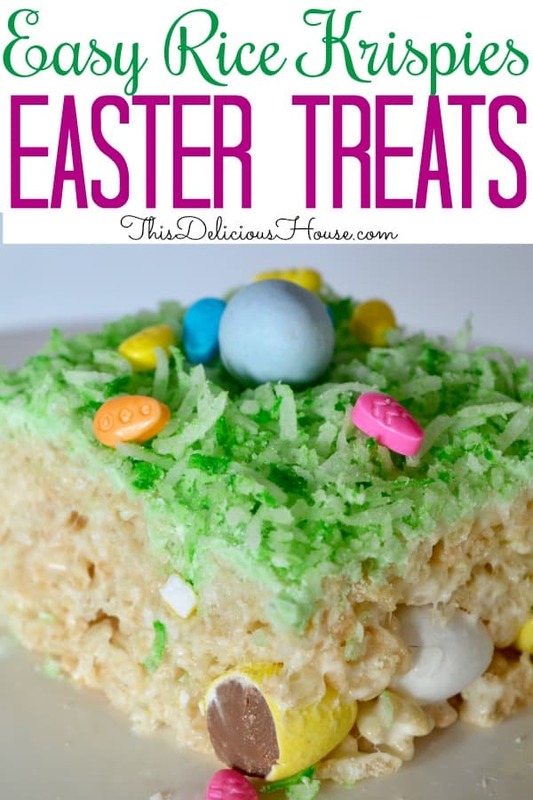 Easy Rice Krispies Easter Treats are so fun to make and include hidden Cadbury Mini Eggs. 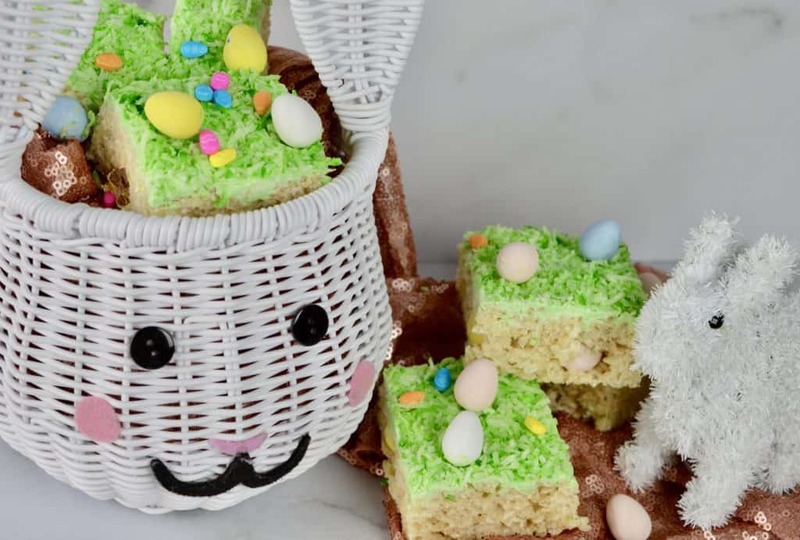 Cute and festive, don’t miss this Easter recipe that little ones will love! Sometimes the most popular recipes are those using the least complicated ingredients with simple instructions. That is exactly what this Easter treat is! Simple and delicious, your guests and kiddos are going to love this festive and fun holiday treat! The idea for this came in the form of Easter egg hunts. 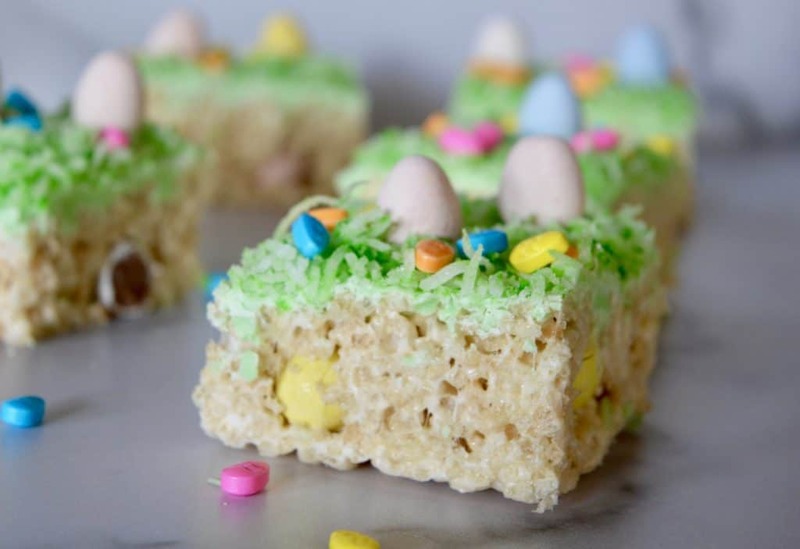 Rather than stuffing the Cadbury mini eggs in a Rice Krispies shell like the Hidden Surprise Easter Egg Treats , these little treats have them buried underneath! Firstly, start by making a batch of Rice Krispies treats according to package instructions. I always make mine in the microwave, so for me that means microwaving the butter in a large bowl until melted. Then add in the marshmallows and microwave for about 90 seconds. Stir in the cereal and you’re done. Next, build the first layer of the “ground” for the Rice Krispies. 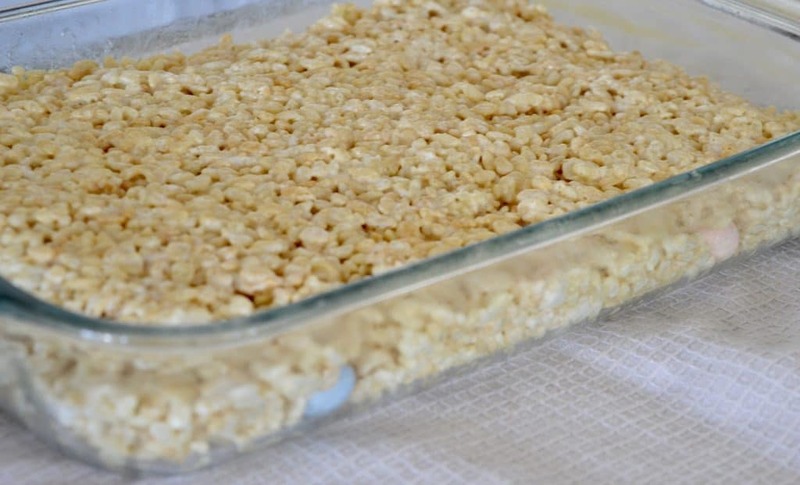 Use about a third of the Rice Krispies mixture and flatten to the bottom of baking dish. Then, add on the layer of Cadbury Mini Eggs. Add on the rest of the Rice Krispies mixture and press to flatten overtop. 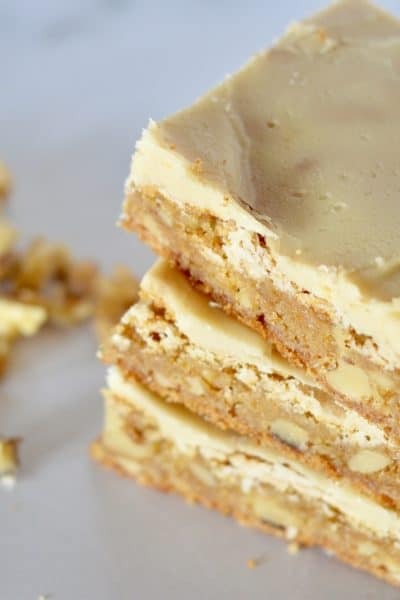 Lastly, prepare the top layer of the treats. 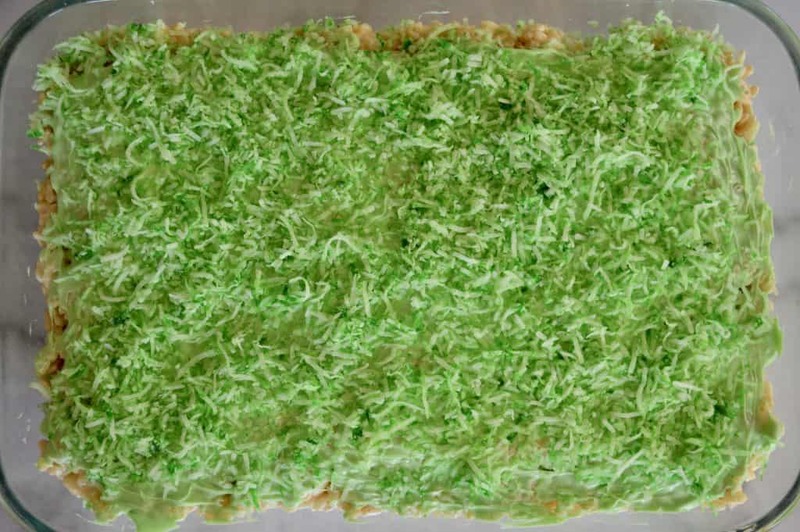 For this you will need green food coloring, melting chocolate, and sweetened coconut flakes. 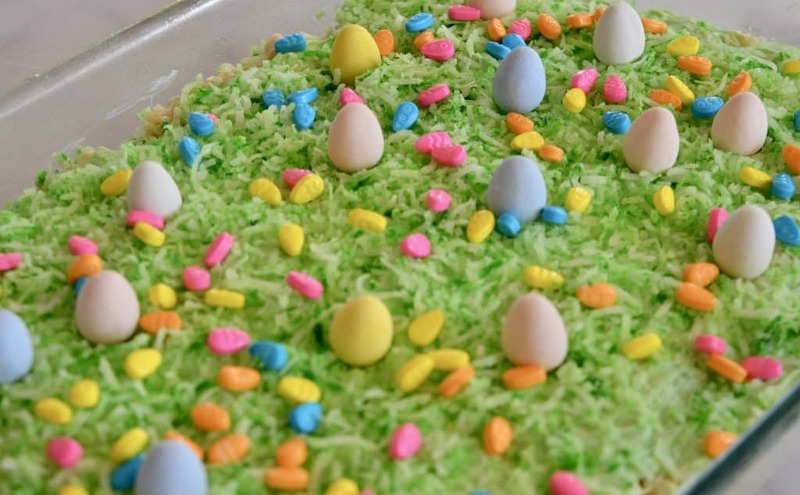 To garnish, I like to use these Wilton Easter Sprinkles and more Cadbury Mini Eggs. Prepare the melting chocolate by microwaving it until just melted, stopping to stir in intervals. Add in desired amount of green food coloring and spread overtop of the treats. Then, prepare the green coconut “grass” by stirring in a couple drops of green food coloring into the coconut flakes. Sprinkle overtop of the melted chocolate before it hardens. The last part is to garnish. You can have fun with and decorate however you want. I used easter sprinkles and Cadbury mini eggs, but you could use Marshmallow Bunny Peeps, chocolate bunnies, jelly beans, or Easter M&Ms. What I love about these treats are the tasty surprise hidden eggs that lie beneath the surface. 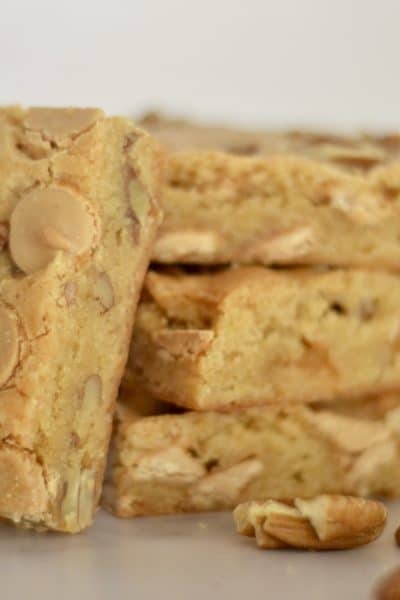 Your little ones will love trying to find them in their bars. Cut up a few and even place them in Easter baskets for a fun and festive display! 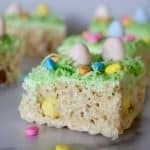 I hope you enjoy this simple and fun Easter recipe. 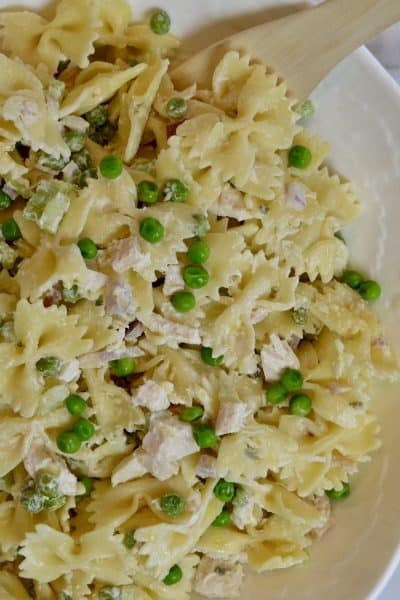 Please comment below if you tried the recipe and let me know how it goes! 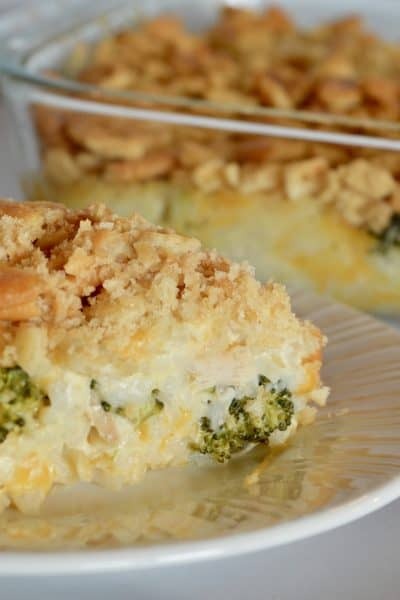 Make-Ahead Easter Menu is a complete menu for your tastiest Easter brunch yet! 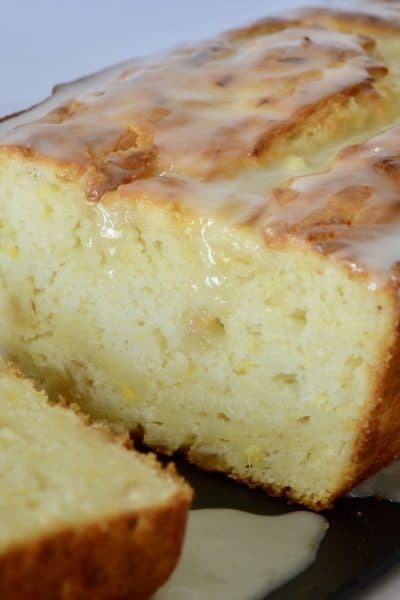 Pineapple Bundt Cake with Cinnamon Cream Cheese Frosting is a truly delicious moist cake with simple instructions. Classic Deviled Eggs Recipe will show you how to make-ahead this traditional Easter appetizer. Lemon Blueberry Bundt Cake is a worth it just for it’s beautiful presentation on a spring table. 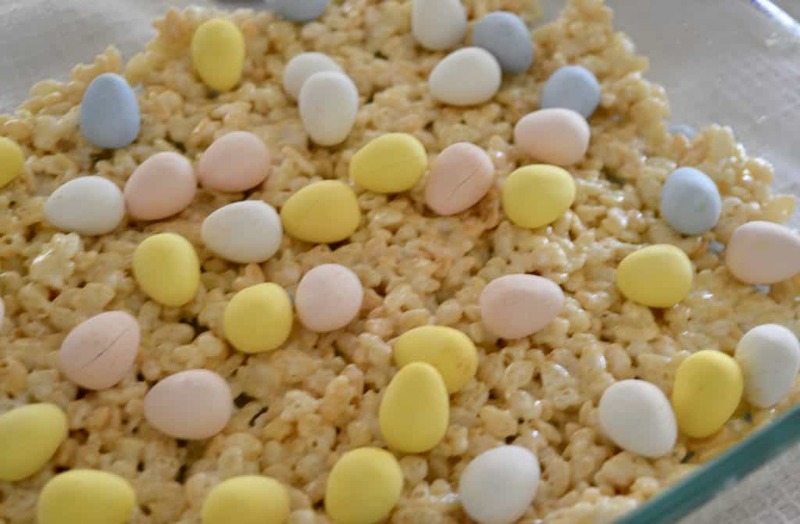 Simple and tasty recipe using Rice Krispies and Cadbury Mini Eggs. Coat a 9 x 13 baking dish with cooking spray, set aside. In a large microwave safe bowl, melt the butter. Add in the marshmallows and microwave until just softened, about 90 seconds. Stir in the Rice Krispies cereal until combined. Scoop about 1/3rd of the Rice Krispies mixture into the bottom of the baking dish. 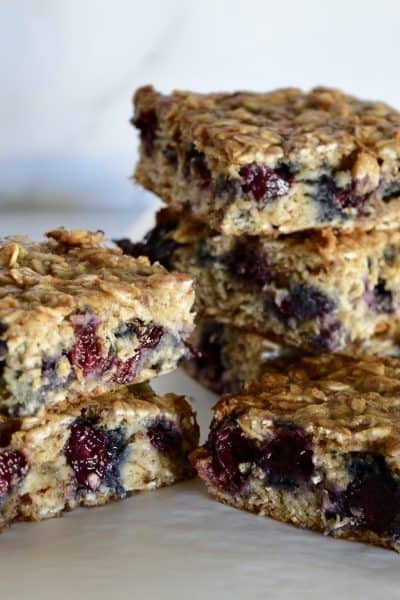 Use a spatula or damp hands to flatten. 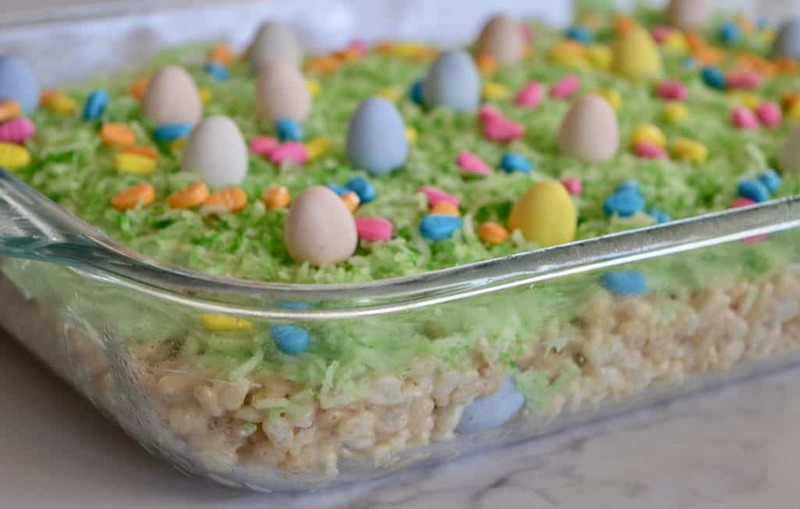 Spread the Cadbury Mini Eggs over the Rice Krispies layer, saving a few for garnish. Spread on the remaining Rice Krispies mixture and smooth to flatten. To prepare topping, microwave the melting chocolate according to package instructions until just melted. 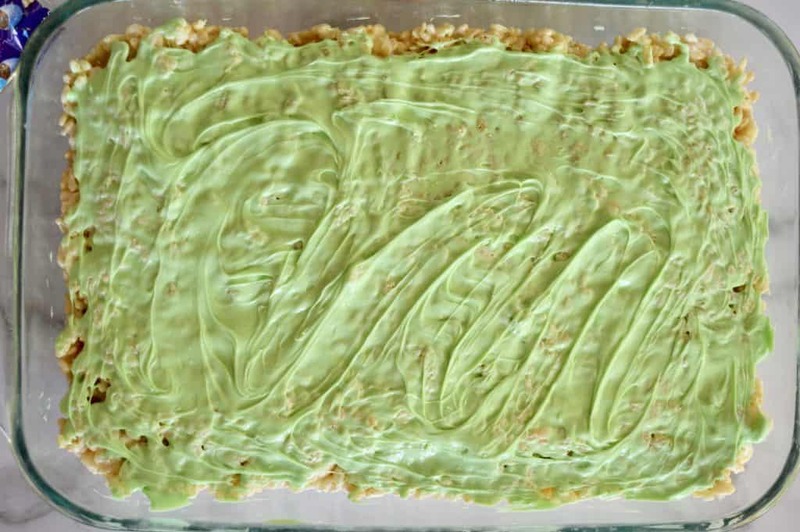 Stir in the desired amount of green food coloring. In a separate bowl, toss the shredded coconut with a few drops of green food coloring until the desired shade is reached. Spread the green melted chocolate overtop of the Rice Krispies and then sprinkle on the coconut flakes. Garnish with the remaining Cadbury Mini Eggs, sprinkles, or any other desired toppings. You can make these up to two days in advance. Just store in an airtight container until ready to serve. 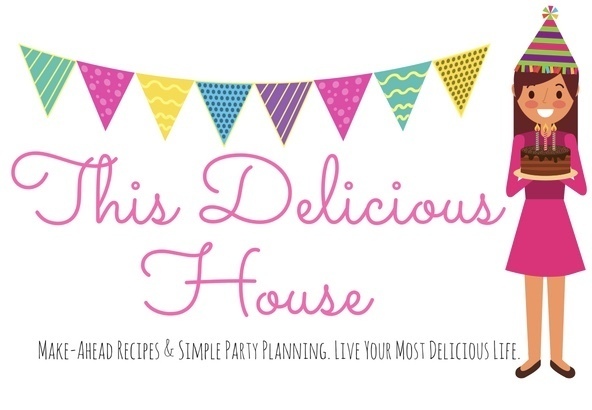 Be sure to sign up and get more recipes to your inbox!